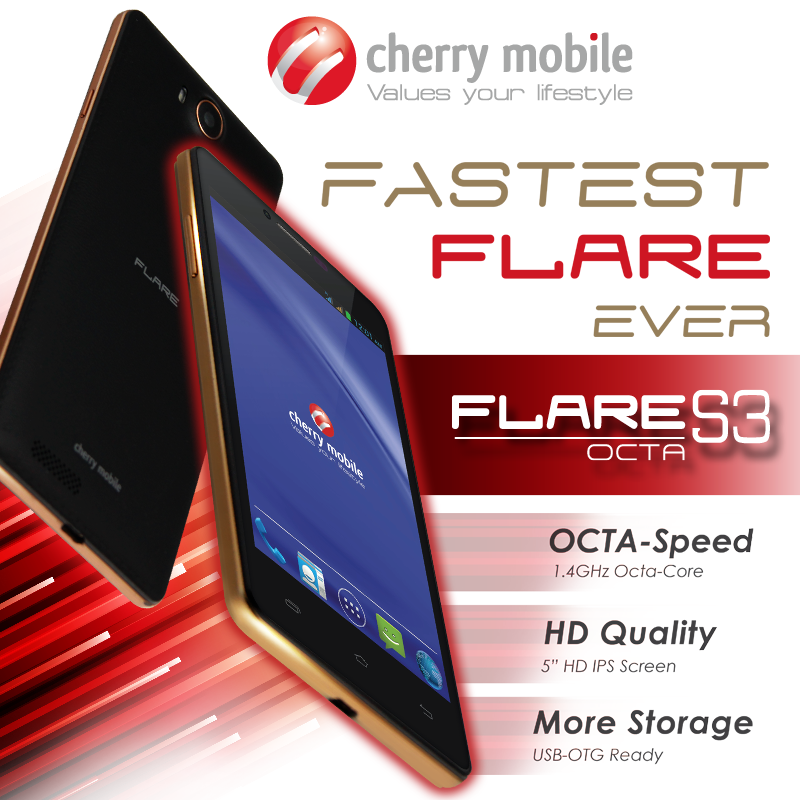 After giving the original Flare S3 a full run, Cherry Mobile now announced a revved-up version of its massively popular device - the Flare S3 Octa-Core. The device breathes the same air as the four-cored handset; however, it clinches more power and performance compared to its younger counterpart. What's the difference between Flare S3 and Flare S3 Octa-Core? We will start with the obvious reason, the number of cores. The latter packs the MediaTek MTK6592m which is comprised of eight cores of ARM Cortex A7 CPU running at 1.4-gigahertz and a Mali-450 MP4 graphics. The original Flare S3, on the other hand, churns with a MediaTek MT6582 which has a quad-core 1.3-gigahertz ARM Cortex A7 CPU and Mali-400 MP2 graphics. Another point is the bump in the display resolution. Now, the Flare S3 Octa-Core boasts an HD 1280 x 720p display with 294 ppi pixel density. It's a step higher than the quarter HD (qHD) 960 x 540p of the previously released handset. The remainder of the features are similar to the base unit: 5-inch display, 13MP/5MP camera (rear and front), 1GB of RAM, 3G HSPA+ connectivity, 8GB internal memory, 1800 mAh battery and Android 4.4 KitKat. Other reports also suggest that the new variant has a USD OTG function.